My SHELL tangle pattern inspired by shells and pearls. Learning how to draw the simplest pattern was not my cup of tea, but the more difficult ones mesmerized my mind. Later I have come to appreciate the very basic ones more because they are so easy to do and remember. 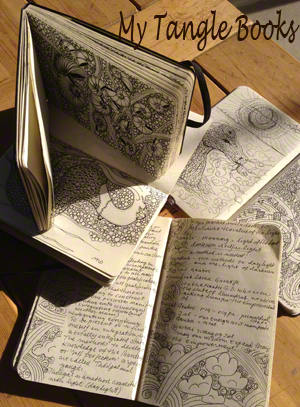 I have filled four Moleskin notebooks full of tangle pattern and my own doodles in the past 5 months. I drove my family nuts by having to do my tangles… But my two nieces were amazed how easy they also could draw the Shells and pearls tangle above. The older one in grade 2 almost gave up, but then when we added lines and the pearls back ground, it became a master piece to everyone’s amazement. The younger one she got it right away. I wish I had taken a picture of their drawings… in fact you would not see the difference from the one above. I found that the small format is key for success, because one use 3.5″ square tiles, or when using the notebook: 3.5 x 5.5″. It is the contained space that can be filled within 20 minutes that is so gratifying. When one is troubled, or grieving this type of meditation techniques of doodling is welcome. One does not involve the mind too much, instead the intuitive flow of creativity appear right away when drawing the repeated patterns. In the Shells pattern there is three shapes used: a line, a spiral and a round shape. I will share the How To below. The way to draw the basic spiral patterns is very simple, even a child can do it. Put a dot on your paper and start from your dot curving out. This pattern is based on the Fibonacci Spiral. You can practice it on math paper it is not difficult. It describes the “golden mean” used in architecture, for example the Greek temples. It is interesting to know that the famous Egyptian pyramids are laid out along a huge Fibonacci spiral. The shape is also found in nature in a myriad of natural forms such as the Nautilus shell. I also create my Crystal Talismans based on this particular spiral. 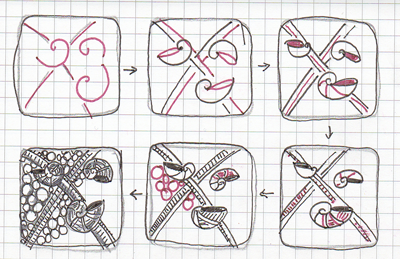 How to draw SHELLS tangle pattern. 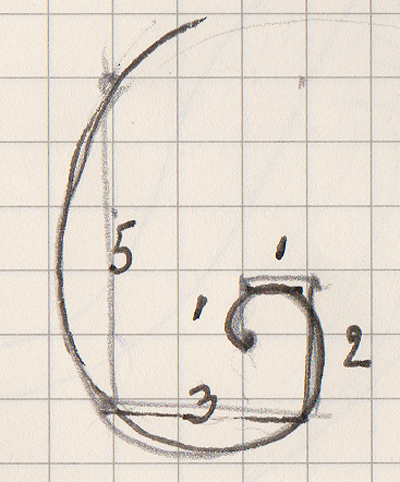 Pencil in the guide lines then draw the Fibonacci Spirals. Begin with two pencil lines or more, then draw in the wide spiral shapes. 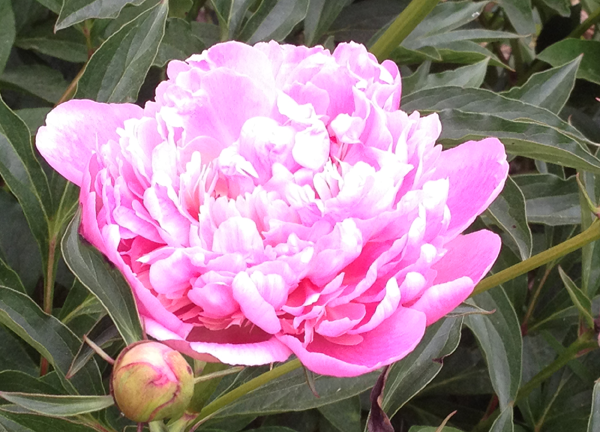 For the sacred geometry fan, this shape follows the Fibonacci spiral. But as my nieces discovered, one can wing it quite well with good success. Then make the opening oval, fill it in. You can draw a smaller spiral on top of a larger one for fun effects. Foot Note: I leaned about Zentangles from my friend Susan Stortini who is a certified Zentangle Instructor. Susan directed me to Maria and Rick at www. zentangle.com, and later I discovered Linda Farmers collection of patterns at tanglepatterns.com – Thank you all for my inner sanity! This entry was posted in Meditational Drawings, Sea Shells and tagged creative, creative zen, drawing in class, Fibonacci Spiral, how to draw, intuitive flow, learn how to draw, line drawing, meditation techniques, tangle patterns, trancendental, yoga meditation, zen drawing, zen zen, zentangle art. Bookmark the permalink.